​Residents of the Miller Place and Mount Sinai school districts are eligible to join either the Comsewogue Public Library or the Port Jefferson Free Library for the library service contract year of July 1, 2018 to June 30, 2019. The Comsewogue Public Library and the Port Jefferson Free Library have been providing library services to the residents of the Mount Sinai and Miller Place School Districts on a contractual basis every year since 1976 (M.S.) and 1981 (M.P.). Residents of Miller Place and Mount Sinai vote each year on a separate proposition for public library service. Residents' overwhelming approval has ensured your household's continued, full access to the Port Jefferson and Comsewogue Libraries' service programs. Select either the Port Jefferson Free Library or Comsewogue Public Library beginning July 1 each contract year. Your selection can only be changed once each year at the beginning of the new contract year (July 1 to June 30). All members of the same household must register at the same library. New registrations and renewals must be made IN PERSON. You must present two forms of residency (recently dated and containing your name and street address within the service district). 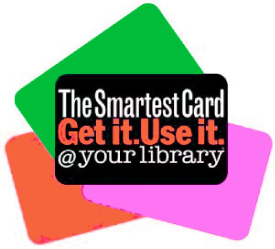 ​Get your library card today and check out what you can do! We welcome and look forward to serving both new and recurring members.